Katie Holmes talks raising daughter Suri in the limelight | HELLO! Being in the spotlight hasn’t made parenting any different for Katie Holmes. The actress opened up about being a mother to daughter Suri Cruise during a recent appearance on The View. "I raise my child like [how] my family, sisters raise their children and how I was raised," the 38-year-old shared. "I love being a parent and I feel really blessed to have such a sweet little girl." 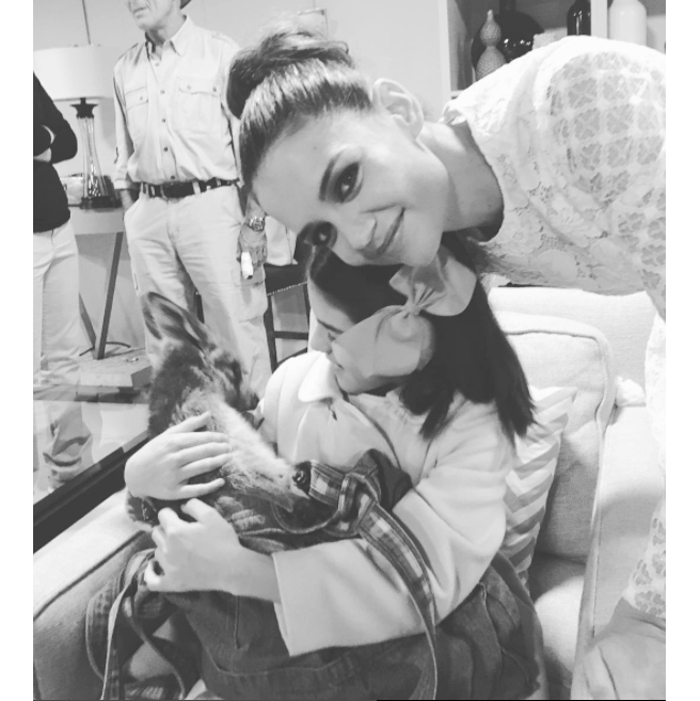 READ: Katie Holmes' daughter Suri Cruise cuddles up to a baby… kangaroo! When it comes Suri, the Hollywood star admitted that she "absolutely" uses lessons from her own childhood to raise her ten-year-old. Katie explained: "I am the baby of five. I have a lot of cousins. I'm the youngest grandchild on the Holmes side. So I have an amazing family and we're always in Ohio. I’m really proud of my nieces and nephews." Earlier this month, the actress confessed that her most significant role is being a mother. "My child is the most important person to me, and her upbringing is paramount to my work right now," Katie told Town & Country magazine. "It’s very important that I’m present and she has a stable, innocent childhood." The actress continued, "I feel so blessed to do what I do, but there’s nothing in the world better than watching your child succeed." Though being a parent is her priority, the mum-of-one is set to reprise her role as Jackie Kennedy, a character whom she admittedly relates to, in the upcoming mini-series The Kennedys: After Camelot. "I have played her before," Katie said on the ABC talk show. "While this family lives in such heightened circumstances and they are so famous and glamorous, what they go through is very relatable." She continued: "I feel like it was a role that I could step into because it's very human. You take away the first lady aspect and the fame aspect and it's just a family that's gone through a lot, but they always stick together and get through it together."